Despite my best efforts in searching this forum, I saw no mention of this posted previously and I felt obliged to share. 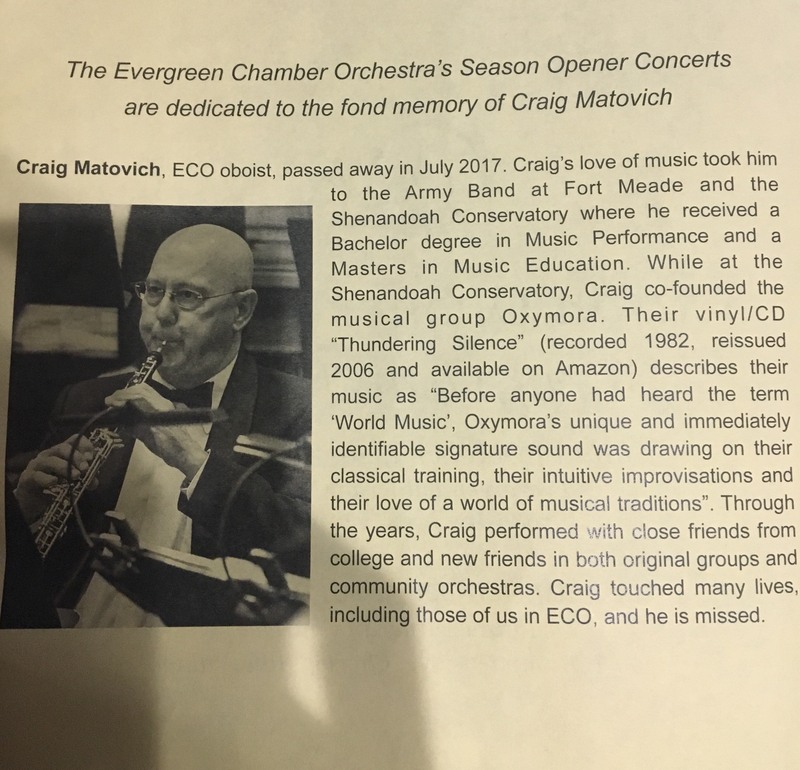 A few weeks ago while visiting Denver I attended a concert of the Evergreen Chamber Orchestra and I was sadden to learn of the passing of Craig Matovich, a contributor to this forum. While I never had the chance to meet Mr. Matovich, I always enjoyed and valued his input to all matters oboe here. Attached is a photo of his obituary as printed in ECO's Program Notes. He was a gentleman, and I learned a great deal from his posts.